There are many ways that a video surveillance system can be ineffective, which is why it’s best to hire a surveillance system installation company for help. Though the idea of performing a surveillance system installation yourself might first seem more appealing, it could actually cost you greatly in the long-run. Security cameras and full video surveillance systems are no longer a rarity unique to wealthy business owners or commercial properties. In fact, it would be surprisingly difficult to find very many places that choose not to implement a fully operational video surveillance system, regardless of the industry. So why choose to hire a professional security camera installation company over attempting to install the components yourself? What benefits do you get from paying for a professional surveillance system installation? The answers to those questions can found throughout the article below. To book an appointment with Florida’s premier surveillance system company, call 561-922-8416 or fill out our contact form online. If you are considering either upgrading security cameras or investing in a completely new video surveillance system, you should know that there a few key factors that contribute to successful implementation. All too often, new and seasoned users alike will make foolish mistakes that render their system ineffective at protecting their environment, no matter where that setting might be. The choice in where security cameras are placed, what the field of view requirements will be, how much hard drive space will be necessary, and the day/ night lighting conditions in congruence with many other prominent factors will all play a contributing role in acquiring a successful operation. The security and surveillance industries are continuously advancing in new and innovative ways. This extends to the diverse range of different products that are more abundant and available than ever before along with newer applications like a remote video monitoring service. Only with the help of professional CCTV installers who have experience integrating new and old technologies are you able to confidently know your surveillance goals are capable of being met. From the best products and security cameras to the top suppliers and efficient installation techniques, professional CCTV installation gives you the advantage that, ultimately, results in the peace of mind you desire. The decision you make in choosing between surveillance system installation companies will play an important role in both the initial experience and results upon completion. You should be able to find a few professional CCTV installers that are local, but make sure you do a little research on each after you do. The different things to factor in for selecting the best installation company for the surveillance system you need have to do with experience, history, reputation, and industry relationships. Relationships play an especially important role because with them you are able to get superior products at lower costs as opposed to cheap security cameras that will fail you when you need them most. The highest rated and most successful video surveillance system installation companies should also be able to sit with you and explain what their full plan of action will be. This way you will understand the what, how, and why behind their decisions in order to feel comfortable your property will be safe and secure. Another factor will be whether or not their technical support services extend into hours of operation suitable for your own needs. What good is having technical support if it is only during international hours or completely outsourced to a foreign country, raising communication complications? Obviously, the cost of surveillance system installation should also come into play, but you should not base your decision solely on costs alone. Much like most things in the world now, you get what you pay for, yet the consequences of this choice could mean you don’t have usable footage in the event an emergency does actually happen. Ask if they will provide you with a free security camera assessment before you agree to anything further. This can give you the opportunity to explore your options fully and build up a relationship so that you feel comfortable with your decision. 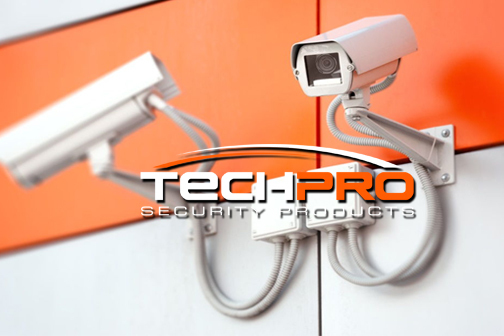 Contact TechPro Security Products to schedule an appointment with South Florida’s premier surveillance system installation company. We will also help you locate any products, cameras, and answers to help you overcome any special challenges holding you back from getting the peace of mind you deserve.